Should you ever have the good fortune to meet a person who has travelled into space, what is the first question that you would ask them? Probably the same as what I, and the vast majority of people would feel compelled to ask: what’s it like? Not only the kind of question that must get a little repetitive for our space traveller, but one that is practically impossible for them to answer. How can doing something so completely divorced from our everyday experience, like stepping into the infinite abyss of space, experiencing weightlessness, or staring down at planet Earth through the window of a spacecraft, ever be put into words in such a way that the rest of us can even begin to imagine what it’s like? I have seen a great many interviews with people who have travelled into space who have given conveying the feelings, the sensations, and the emotions that come with it a pretty good go. And I have seen a fair few visually spectacular blockbuster movies that give something of a sense of what space travel might be like. But in the Science Museum’s new Cosmonauts exhibition, I saw something that made the experience of space more real, more human, and more tangible than probably anything I have seen or heard before. 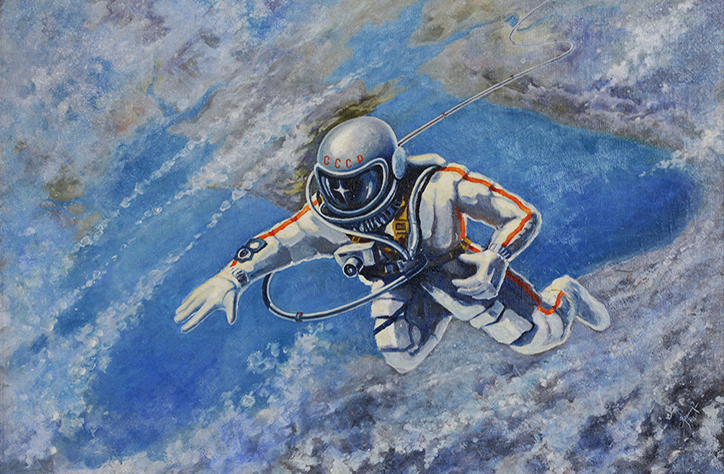 Alexei Leonov, who became the first person to undertake a space walk in 1965, has been a keen amateur artist all his life. Some of his work, such as his self portrait floating high above the Earth in a superhero-like pose, on display in the exhibition, became famous in the years after his pioneering feat. Far less impressive than the painting it might have been at first glance, but it was the rough pencil sketch on a tiny scrap of paper in the display case beside it that instantly became my favourite object in this exhibition, once I realised precisely when and where Leonov sketched it. As his spacecraft hurtled around the Earth, he had only a few moments to observe the wondrous spectacle of the Sun sinking below the Earth’s curved horizon, and create the world’s first ever artist’s impression of the Earth from space on a piece of notepaper. A band of curved yellow, orange, blue and purple lines is all he had time to draw, but even this incredibly simple sketch seems to convey so much. Especially with the set of pencils Leonov used, each fastened to the box they came in with a piece of string to stop them floating away from him, displayed alongside it. Seeing this picture allowed me to imagine Alexei Leonov crouched in his tiny Vostok capsule, miles above the Earth and at that moment the only human being alive who could see this beautiful natural phenomenon, with his artistic instinct compelling him to record it on paper for posterity. Now I know a little bit more about what being in space feels like. 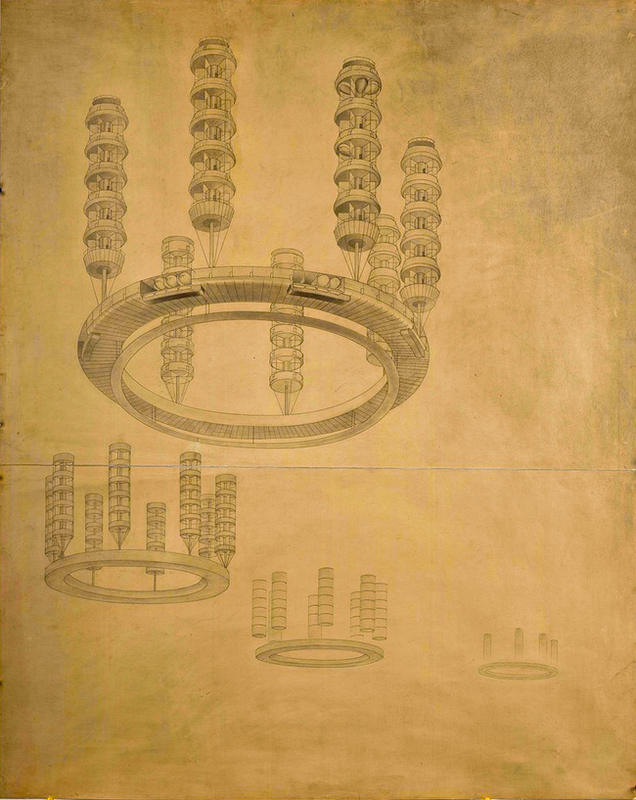 It may look like something from a 1960s science fiction television show, but this drawing was made by Georgii Krutikov in 1928, when he completed his Cities of the Future project, part of his architectural diploma at the VKhutein in Moscow (thecharnelhouse.org). Krutikov was one of many Russians of his generation inspired by Konstantin Tsiolkovsky, who had been writing about space travel and living in space since the late 19th century. Cosmonauts: Birth of the Space Age, a glorious new exhibition at the Science Museum, not only celebrates the Soviet Union’s glory days in space, and underlines the significance of its numerous pioneering achievements (first satellite, first person in space, and all that). But it also tells a more complete story of a Russian love affair with space that stretches far further back in time than you might expect, and brings us right up the present day. We begin with the scientists, artists, writers, philosophers, architects, designers and rocket-building enthusiasts that dreamed of space travel as long ago as the early 20th century. A new, utopian society being created in space was not such a far-fetched idea to the post-revolutionary generation who were witnessing the birth of their own new communist utopia on Earth. The exhibition ends up in today’s age of space stations and space science, which owes an enormous amount to those cosmonauts who first endured long missions in space and established the first permanent outposts in orbit. The exhibition tells a story of both scientific and engineering triumph, and of human courage, ingenuity and imagination. It is the little human touches, like Alexei Leonov’s pencils, the letters written by enthusiastic schoolgirls to the Moscow Radio Committee begging to be sent into space, and the military uniform of Yuri Gagarin, alongside the rockets, spaceships and spacesuits that really bring the exhibition to life. “Do not be concerned if I perish,” wrote Maria Trofincora in 1959, “I want it so much I will not rest until I’m in flight,” while Maria Kartseva says she is well prepared for a mission to the Moon since she has a “warm skiing jacket, felt boots, coat and warm fur hat.” Meanwhile the collection of newspapers, magazines, posters, souvenirs and trinkets also evoke the spirit of the space race, and illustrate just how captivated the whole world was with the beep-beep-beep of Sputnik in 1957, and with the photogenic smile of the 26-year-old son of a carpenter and a milk maid, Yuri Gagarin, in 1961. Valentina Tereshkova, an amateur parachutist who dreamed as a young girl of becoming a train driver, became the first woman in space in 1963. The spacecraft that she piloted, Vostok 6, is one of the highlights of the exhibition. The outside of this ball-shaped capsule still show the scars from re-entry and its bumpy landing on the Russian steppe. The mechanism of Tereshkova’s ejector seat can clearly be seen, as can her control panel with its dizzying array of buttons and switches. Just as I began to imagine how claustrophobic her confinement was, I got quite a shock when I peered inside Voskhod 1, the first spacecraft to carry a multi-person crew. Virtually the same size as Vostok 6, Vladimir Komarov, Konstantin Feoktistov and Boris Yegorov were all crammed in together for twenty-four hours. And as if that was not enough to endure, the three men landed hundreds of kilometres off course, deep in the forests of Siberia, and had to wait two days for rescue in the freezing wilderness. Perhaps every bit as remarkable as the objects in the exhibition themselves is the fact that so many of them have never been on display before, not even in Russia. The vast majority of artefacts in the exhibition have been to lent to the Science Museum by private owners. Indeed, the only thing more incredible than the story told here is that it is a story that remains, for the most part, untold. It is not just us in the West whose whole perception of the space age is so dominated by the achievements of NASA, from the Apollo missions and the Space Shuttle right through to the present day. To most Russians, also, the story of the cosmonauts is one still shrouded in mystery. Even as the Soviet Union made great strides in space exploration and soared ahead of the United States in the space race, and as Gagarin, Tereshkova and others became instant global celebrities, it kept details of many of its missions completely secret. The entire Soviet lunar programme, for instance, which so nearly put a cosmonaut on the Moon before Apollo, only became public knowledge in the late 1980s. 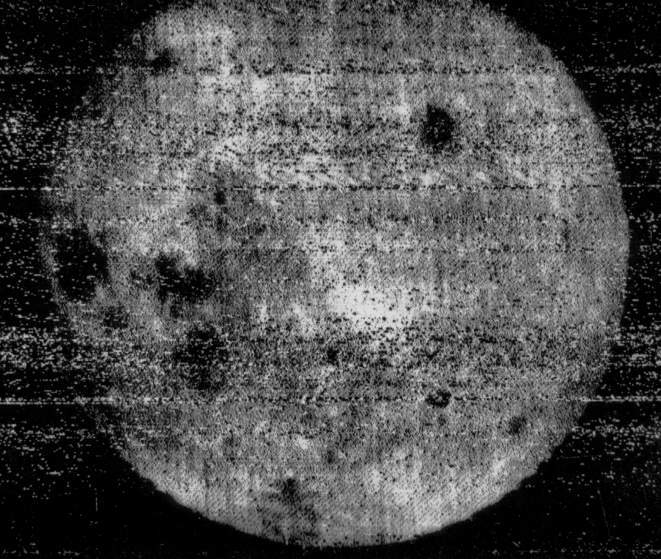 And even the bits of the story that were very much public knowledge, and were reported in the press the world over – such as the Luna 3 probe that captured the first photographs of the far side of the Moon – seem to have been lost to history. Or at at least they seem to have been by later generations like my own. I’d always thought Apollo 8 was the first to see the far side of the moon! 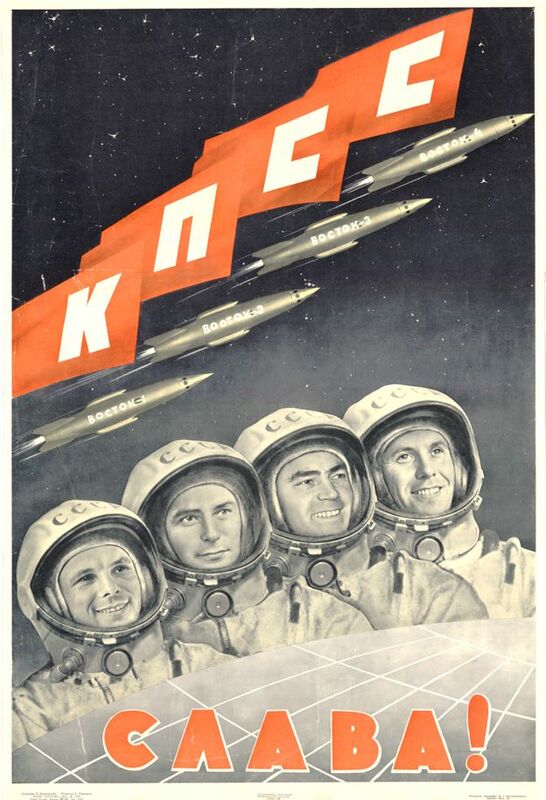 The Soviets may have lost the race to the Moon, but they continued to be space pioneers after 1969. They were the first to land probes on another planet, large scale models of which are on display. First there was the Venera 7 mission to Venus, launched in 1970, which lasted just twenty-three minutes on the surface before it succumbed to the planet’s monumental temperature and atmospheric pressure. Just a year later Mars 3 touched down on the Martian surface. Come the closing section of the exhibition, showcasing space suits, space food, space toilets and even a space shower, we are reminded once more of the crucial role the Russians have both played in recent decades and continue to play today. It was the Russians who first explored the potential of permanent outposts in space – Salyut became the first ever space station in 1971, with Mir following in 1986 – and first experimented with sending people into space for long periods of time. One cosmonaut, Sergei Krikalyov, spent so long on board Mir during one mission that he left Earth a citizen of the Soviet Union (in May 1991) and returned home a citizen of the Russian Federation (in March 1992). And, since the retiring of the Space Shuttle, currently the only means of transport to and from the International Space Station are the Soyuz spacecraft. These workhorses, one of which is on display, have been in use for nearly fifty years. It is my sincere hope that as many people of as many different nationalities as possible come to see the story of the cosmonauts, and hope that one day a similar exhibition will be staged somewhere in Russia. Despite the numerous failures, setbacks and secrets along the way, the Russians have every reason to be immensely proud of their achievements in space. It was a Russian, Konstantin Tsiolkovsky, who said – way back in 1911 – “Earth is the cradle of humanity, but one cannot live in a cradle forever.” And as humanity sets off ever further into space over the coming decades, centuries and even millennia, perhaps one day to leave the Earth behind for good, the legacy of the first cosmonauts will surely only increase in significance. Cosmonauts: Birth of the Space Age runs at the Science Museum until 13th March 2016. Tickets cost £14 for adults. The exhibition will be open until 10pm every Friday during its run (last entry at 8.45pm). Tags: Alexei Leonov, America, Apollo, artist, Boris Yegorov, communist, cosmonauts birth of the space age, cosmonauts birth of the space age review, cosmonauts exhibition, cosmonauts exhibition review, cosmonauts exhibition science museum, cosmonauts science museum, cosmonauts science museum review, exhibition london 2015, exhibition reviews london, exhibitions london, Georgii Krutikov, International Space Station, Konstantin Feoktistov, Konstantin Tsiolkovsky, Mars, Mars 3, Mir, Moon, NASA, painting, poster, propaganda, Salyut, science museum, scientist, Sergei Krikalyov, Soviet Union, space race, space station, Sputnik, Valentina Tereshkova, Venera 7, Venus, Vladimir Komarov, Voskhod 1, Vostok 6, Yuri Gagarin. Bookmark the permalink. Thanks. An excellent introduction to what is a ‘must see’ exhibition. Regards Thom. A lovely, well considered review! I’m glad you also enjoyed the exhibition.